And here we come. The 4th and final post on the code that I used during the IBM Connect 2014 keynote (the OGS!). If you need to catch up, here's Part 1, Part 2, and Part 3. The next part of code that we created for the keynote demo was the file viewer. 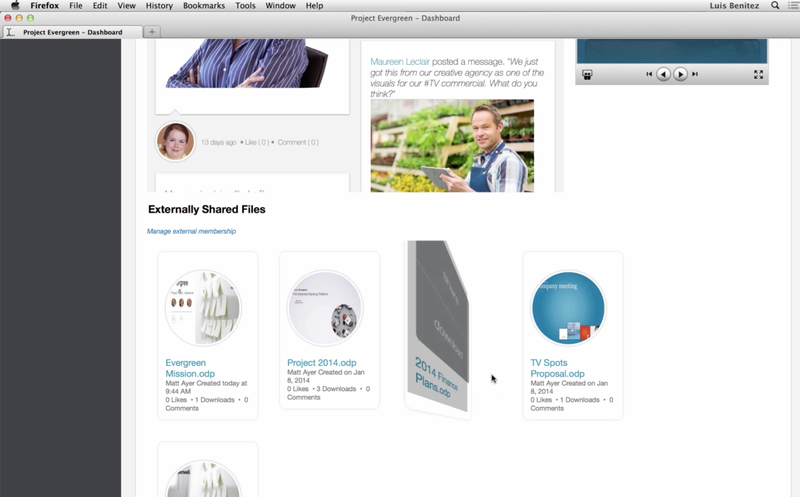 It's worth noting that we first did this file viewer to render IBM SmartCloud Connections files inside our portal. In the end, we ended showing this directly in the community landing page (which is one of the new features we announced -- the ability for community managers to create their own custom landing page for their community). Basically, in our demo community, we had 5 files and we showed the details of the file, a file preview, and when clicked, we did an animation to let you share/download the file (as you can see in the 3rd file above). The other piece of magic was the Flippy plugin for jQuery which is the one that provided the animation to flip the file preview and offer options to share and download. And that's it! In the next few posts, I'll go deeper to cover the announcements from IBM Connect in regards to IBM Connections. Stay tuned ! Alright, let's move on to the next piece shown at the OGS. If you want to know what this is, I would suggest you catch up with Part 1 and Part 2. The next part I got ready for the keynote was people search. But I wanted to move away from the typical search results list. I wanted something more visual and easier to digest. I wanted results to be more visual, maybe like a slideshow of people cards that I could flip through. -webkit-border-radius: 15px; //For Safari, etc. -moz-border-radius: 15px; //For Mozilla, etc. In terms of the score, that was work that we did based on the work with Marie Wallace. Check out her blog for more details. Yesterday, I shared the initial piece of code that I got working in getting ready for the IBM Connect 2014 keynote demo. If you haven't seen that, take a look at that before going through this post. Notice that in this layout, the stream shows up in a multi-column view, and the profile photo is under each card (instead of inside the card as in yesterday's post). And there you have it! You can now render the IBM Connections activity stream in a grid format with resizable cards. The big changes between yesterday's post and today are mostly in step 2 (the CSS required for the rendering), step 4 (the template for the rendering of each activity stream entry) and step 5 (we now call the community stream API instead of the overall activity stream API). This is probably going to be part 1 of a series. Now that IBM Connect 2014 is done, I wanted to recap and share with the community in more detail what I showed at the keynote (a.k.a OGS/Opening General Session). First, I assume that you've seen the keynote by now. If you haven't, here's the full session. If you skip to about 1:12:00 that's where my part begins. As I organized the demo, I wanted to focus on business value and encourage people to go to the breakout sessions to get all the gory details. For some parts, I wrote some custom code (warning: when you have a product manager writing code, you could end up in weird places). Let me tackle one of the first things I got working for the demo: a Pinterest-like layout for the news feed/activity stream (as seen on the left below). This is something you can do today with IBM Connections 4.5 ! And there you have it! This will give you the activity stream in a multi-column format with a rendering similar to what you see in Pinterest. To change how it looks, you mostly have to look at steps 2 and 4 above and provide the layout/styling you want. In the next few posts, I'll share the code for the other pages. But really it all came down to Waterfall! Once you learn that plug-in, there's tons you can do !!! IBM Connect 2014 is now done and there's a lot for me to catch up with. My plan is that in the next few days I'll be sharing some of the code that I used during the keynote (Opening General Session). The code was all going against the IBM Connections APIs so you can start using it today against your current system. Kaltura mentions that Forrester reported that over 27% of firms already implemented video for internal use and Gartner predicts that by 2016 organizations will stream more than 16 hours of video per employee per month. To learn more about Kaltura's Video Extension for IBM Connections, go here. 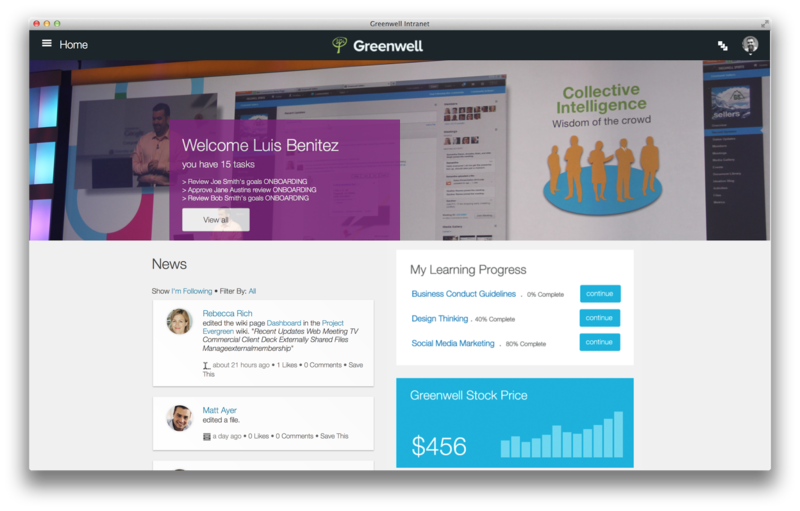 To get the most out of a social software application it should be seamlessly integrated in the work environment of users. IBM Connections is strongly going into this direction with its mail and calendar integration. TimeToAct takes this trend further with their new solution out of their IBM Connections lab: Web CMS Extension for IBM Connections. The Web CMS Extension for IBM Connections provides a seamless integration of different content into your IBM Connections platform. 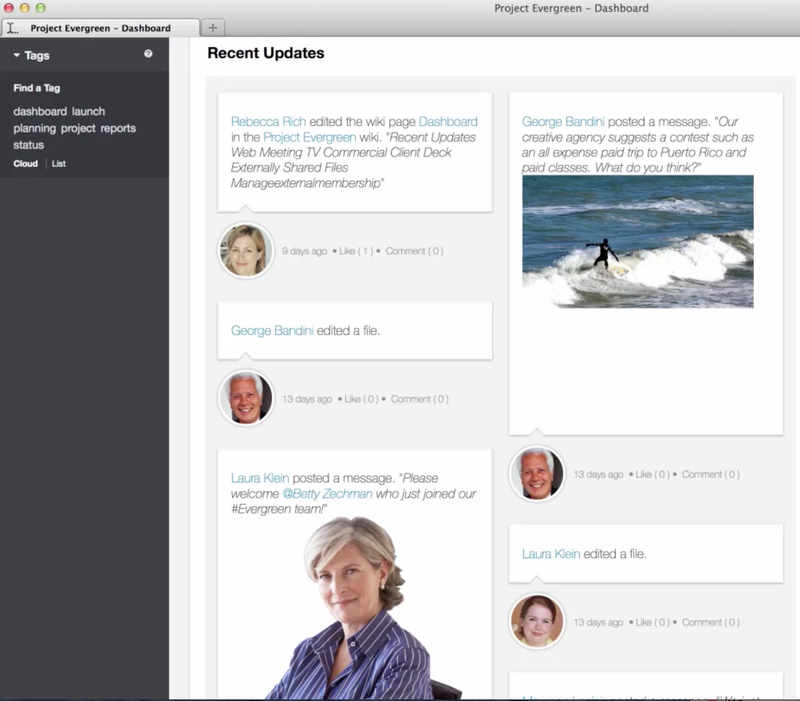 Through the built in applications, user groups with access to the editorial communities can create content which will then be displayed on a consolidated custom homepage. External content like a corporate newsfeed or a Google Weather widget can be offered on the custom homepage as well.